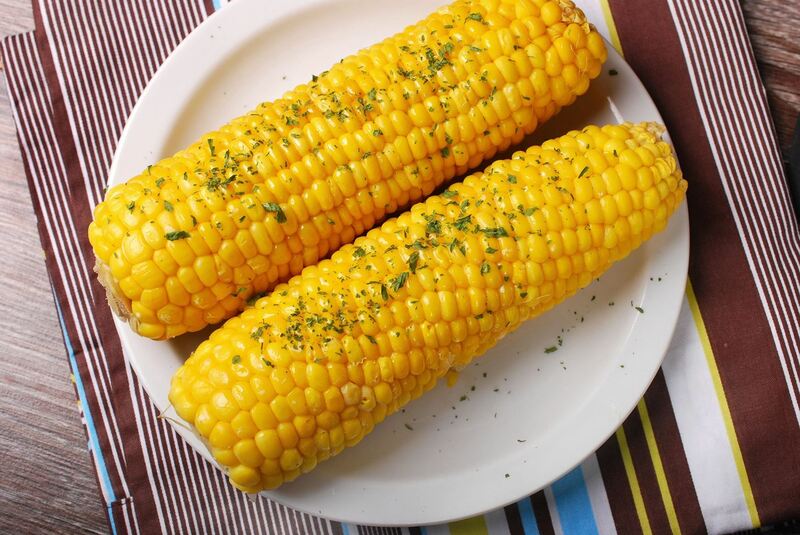 Corn on the cob is one of the most popular accompaniments to a bountiful meal shared with a group because it's cheap, easy to prepare in a number of different ways, filling, and fun to eat. The butter is passed around the table for guests to smooth onto their own cooked ear of maize, then people dive in once everyone's corn is dripping with golden goodness. But the process of buttering corn on the cob one by one is slow and sloppy. Luckily, there's an excellent kitchen shortcut, thanks to Martha Stewart, that will save time when buttering corn for a crowd (and it only requires boiling water). Not only that, but this method assures more even buttering and distribution of flavor, not to mention no oily slick of butter sliding into all the other food on your plate. Fill a large stockpot about halfway with water and bring it to a boil. Make sure not to add salt, tempting as it may be, since it will toughen the kernels. Some folks even use a bit of milk in the water, such as Rachel Schultz does, to add to the creaminess. Add 6 to 8 ears of corn and return the water to a boil, then cook for 2 to 4 minutes to get your corn tender but still crisp. 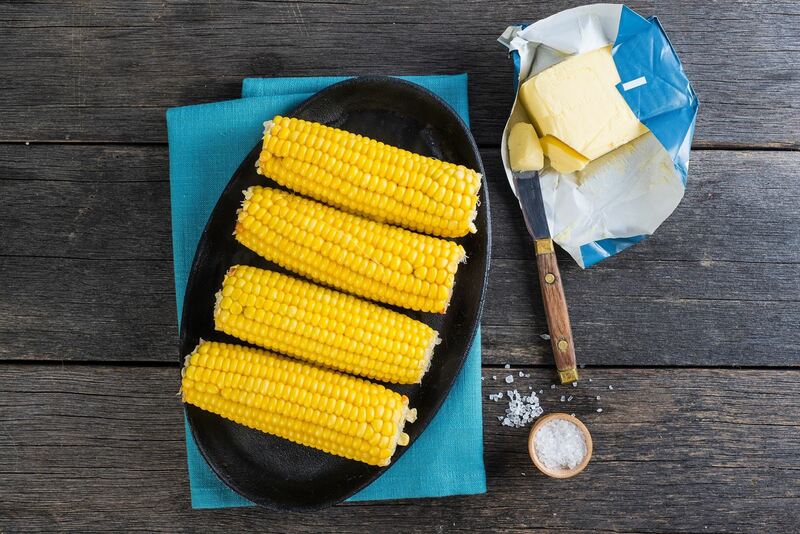 When your corn is almost finished, add 8 tablespoons of unsalted butter and and stir to melt. 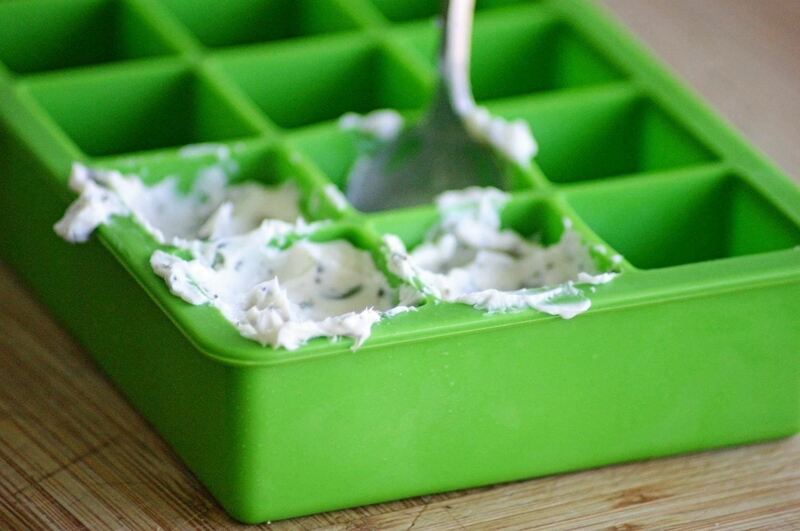 If you want to get really fancy, add in some premade flavored butter ice cubes or a simple compound butter to kick up the taste. 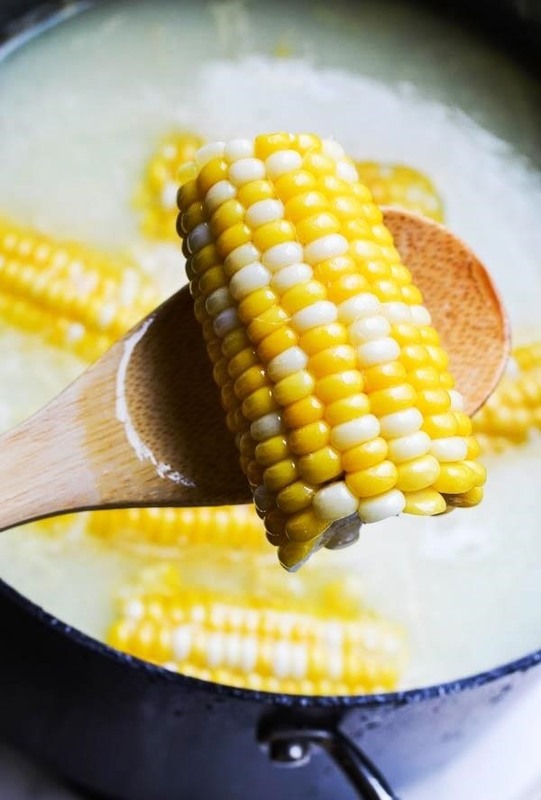 The butter will float to the top of the boiling water and, when you remove the ears with the tongs, each one will get a nice, even, buttery coating that your corn-loving guests will swoon over. At this point, feel free to leave your corn simply buttered or get completely creative by adding toppings. Once the butter is on the corn, you want to put on those additions sooner rather than later so that they can adhere to the ear even better. 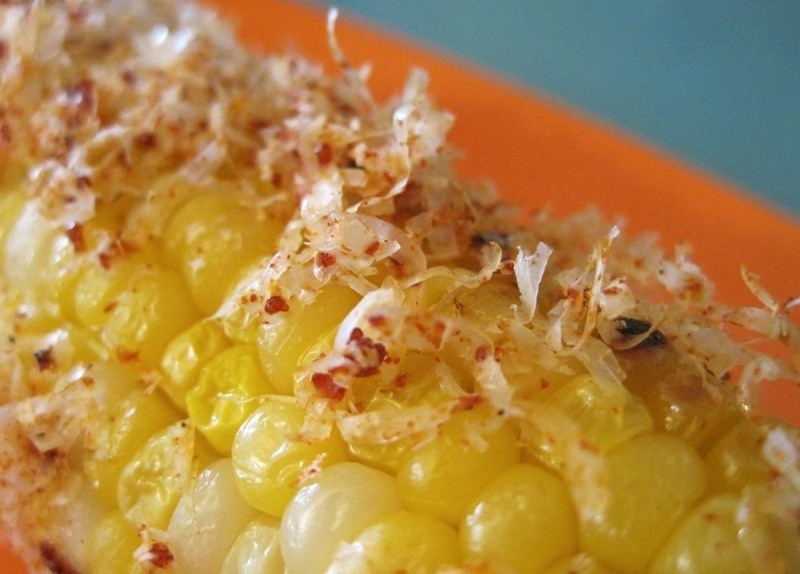 Adding toppings is another way to make your corn on the cob shine for a crowd. Try one at a time. Try two at a time. Get crazy, and even try three at a time (lime juice + cilantro + cojita cheese is a personal favorite of ours). You can even do a topping bar, if you're so inclined, to let your guests choose their own. It doesn't matter whether it's simple buttered corn you're going for or a slightly more exotic version of this timeless summer staple. This hack for how to get the butter and seasonings on your corn will certainly make it easier and faster to get down to eating it. Have any favorite toppings you use on your own corn? Any corny tricks? Let us know in comments below! I have been making my corn like that for many years with a few other ingredients . Like Veronica, been doing it for years. Great minds think alike.